Operating Model, what is it and why is it important? What is an Operating Model to you? Business, IT and Management press is full of terms like “digital transformation”, “new ways of working”, “change your operating model”, “adapt” and, “new normal” but there is little on what that means in real terms or how to address these issues in a practical manner. This seems to be left to very expensive consulting organisations with lots of MBA’s, who have a habit of sweeping in, trying to change everything and then walking (running) away, leaving you with a large hole in your pocket. The key to addressing the need to change these issues is having the right operating model. Either by starting with the right one in the case of a start up or adapting or recasting your existing one in the case of an established organisation. There is no magic wand in this, it is hard work and requires commitment from top to bottom to be willing to change. So, what really is an operating model, and you currently have one whether you like it or not, and why is it important? Let’s start with what is an operating model so we are all on the same page. Wikipedia’s definition is as follows: “Operating model is both an abstract or visual representation (model) of how an organisation delivers value to its customers or beneficiaries as well as how an organisation actually runs itself.” Deloitte describe it as “the configuration of the organisation to deliver its strategy”. Strategy& view the operating model as “determining behaviour, workflow and process design, IT decisions, and investment decisions, aligned to the business objectives”. My view is that the operating model determines how, using people, process and technology, the business delivers value described by the strategy. This means it turns the ‘what’ into the ‘how’. Thus, it is also the key pre-requisite that there is a well structured, considered and actionable strategy for the business in order to define the operating model. If your current operating model is unclear or disorganised then it is highly likely that the strategy is also unclear. This example represents how the coffee shop delivers value (coffee, food, atmosphere) to the customer. It is how the business runs. Why is understanding the operating model important? The understanding of how the business runs and the path to the value it generates is key to being able to make your organisation successful. So you may be thinking that’s all fine at the top level of the organisation, but how does that apply to me? Well, this view of the operating model – how the business runs and delivers value, can be applied at multiple levels of the organisation. Each part of the organisation down to a certain level (I am not saying every level of the organisation) can benefit from understanding and optimising its operating model. This means IT has an operating model, IT Development has an operating model, IT Service Delivery has an operating model. There are likely to be a few others in the IT sphere but not many. The impact of understanding the operating model goes all the way back to 1962 when Alfred Chandler, a business historian at Harvard Business School, wrote a seminal book “Strategy and Structure: Chapters in the History of the Industrial Enterprise” where he developed the theory and proof that a managerial organisation develops in response to the organisation’s business strategy. So, if your operating model is unclear or seems mis-aligned to the business purpose, what is the problem? Generally it is that the strategy and mission of your part of the organisation is also unclear and/or not communicated well. Fix this and start organising around your strategy and define and extend your operating model and your strategy will come to fruition. What does the operating model give you? You now have your strategy sorted which leads and guides the operating model. You have your operating model up and running that is aligned to and delivering on the strategy. But, what does it really give you in practical terms, what are the benefits? There are likely others that you could think of, but these are a good starting point and help with executive acceptance as the benefits can be directly tied to business performance and not, in IT’s case, technology changes. 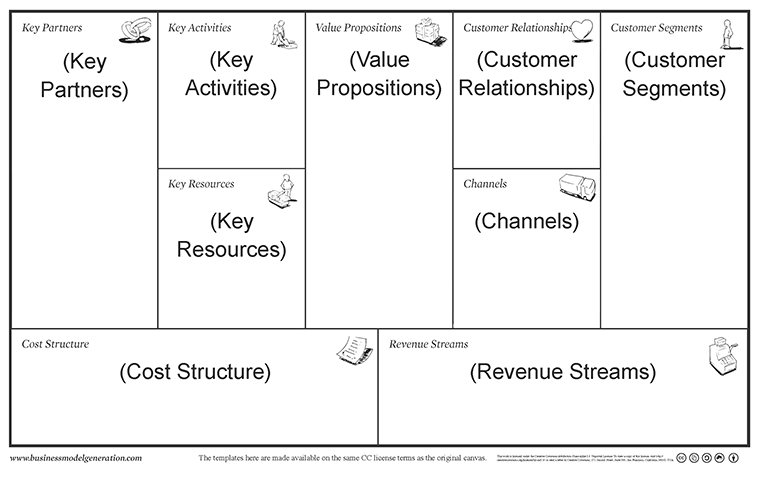 and this is the business model canvas. As you can see once the two are together they are quite different. The Business Model is about the stakeholders, the value proposition to customers, the cost and revenue streams. 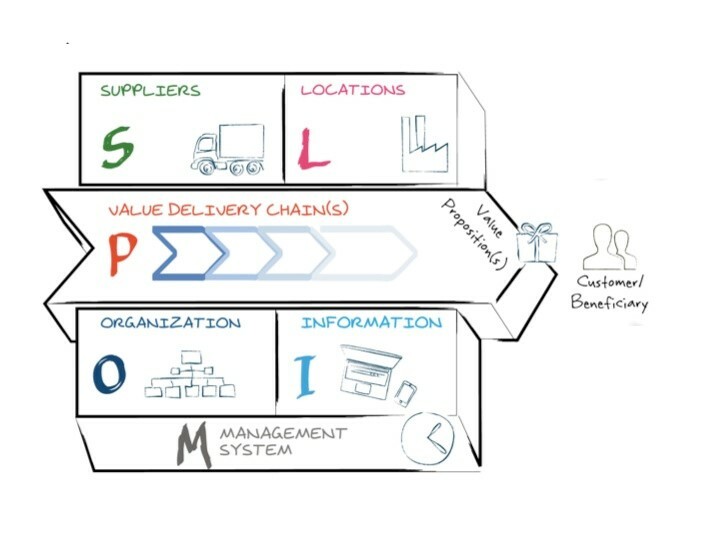 Whereas, the operating model is about the delivery of the value through defining the value chains and how the organisation supports those value chains. Both are required and as an IT person you need to understand each for your organisation as a whole and also the IT specific versions function. So now you have an introduction to the operating model, the value that it brings to many levels of the organisation and the importance in understanding your operating model and getting it right. You understand the basic differences between an operating model and a business model So what’s next? This article has not touched on how do you get an operating model (despite the fact you already have a default one) by this I mean how do you deliberately build or change an operating model rather than leave it to fate or have it evolve organically. How you take on developing an operating model will be the subject of the next article along with a light exploration of some standard operating models that exist today such as IT4IT from The Open Group www.opengroup.org and eTOM (now known as Business Process Framework) from TM Forum www.tmforum.org. I will also introduce a couple of tools to help develop your operating model. Hope you can bare the suspense!